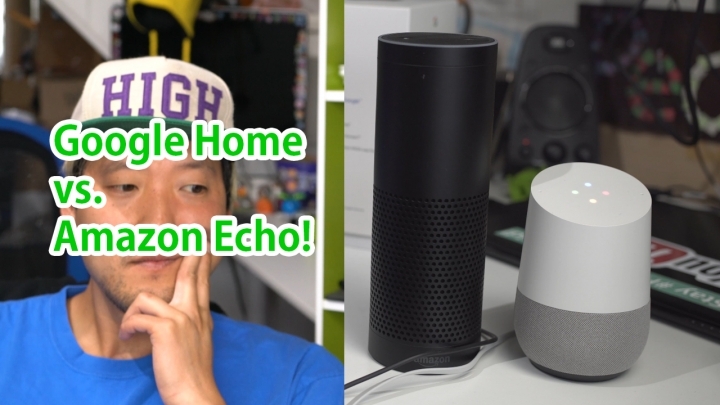 Google Home vs. Amazon Echo! – Which One is Smarter? In this comparison of Google Home vs. Amazon Echo, we test the artificial intelligence of both of these devices to see which one is smarter. For this comparison, we will be leaving out home automation features of both devices since we are only testing the brains of how Google Home and Amazon Echo could help people get things done. We asked questions like, “how to make a potato salad” and “how to learn to skateboard” to see which one gave us more valid answer. The result? Google Home seems to have ability to answer more questions than Amazon Echo. While Amazon Echo did well in mainstream questions like “who is the CEO of Amazon”, it failed at non-mainstream topics like “How to Root a Galaxy S5” and translations like “how to say high on Android in Spanish”. While Amazon Echo’s so-called “brain” is pretty much made up, Google Home makes use of its billions of search results to bring up valid answers for questions. Perhaps this is the value of Google Home over Amazon, that Google Home can easily use its search engine powers to really make it useful for everyday questions. We should have a full review of Google Home but for right now, it is definitely “smarter” than Amazon Echo in terms of world information and knowledge. In part 2, we take up Google Home vs. Amazon Echo testing out which one does better at finding local restaurants, which answers everyday questions, shopping, and questions from you guys from Part 1. Next story LG V20 Review & Comparison vs Nexus 6P vs Note 5 vs Pixel XL vs S7 Edge! Previous story Google Home Unboxing!